Stephen grew up in the Southeast and cut his teeth as a climber on the steep sandstone in West Virginia and Kentucky. He started working as a trip leader while studying ecology and mathematics at Oberlin College. Summer work gave him the opportunity to teach rock climbing, backpacking, and expeditionary canoeing throughout the western US and Canada. After school, Stephen promptly moved to Washington drawn by the alpine summits of the Pacific Northwest. Stephen started working for Alpine Ascents in 2015 and regularly guides in Alaska, Washington, California, and Argentina. An all-around climber, Stephen’s personal experiences range from grade V alpine routes in the North Cascades, to long rock routes in the desert Southwest, to demanding ice climbs in the Canadian Rockies. 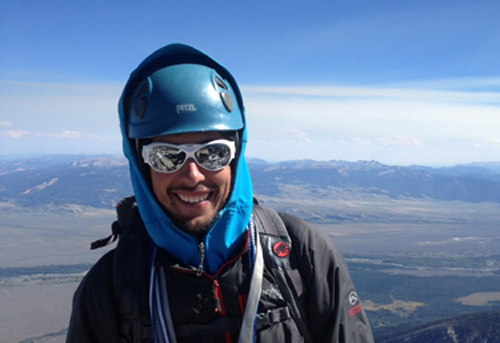 Finally, Stephen is an AMGA certified Single Pitch Instructor and is actively pursuing certification in both the Alpine and Rock Disciplines. I enjoyed everything about the expedition except for the weather conditions. They demonstrated tremendous leadership and decision making skills. I thought they were outstanding in every way and was very confident in placing my life in their hands.